Copyright - 2009 - 2011 Bittercreek Models All rights reserved. HERE WE WANT TO SHOWCASE WHAT OUR CUSTOMERS HAVE BUILT USING OUR DETAIL PARTS AND TRUCKS. 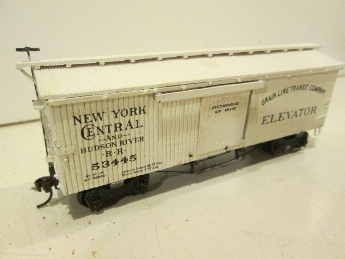 IF YOU HAVE A PHOTO OF A MODEL YOU WOULD LIKE TO SUBMIT PLEASE E-MAIL US AT BITTERCREEKMODELS@SILVERSTAR.COM WITH A DESCRIPTION OF THE MODEL AND ATTACHED PHOTO(S). 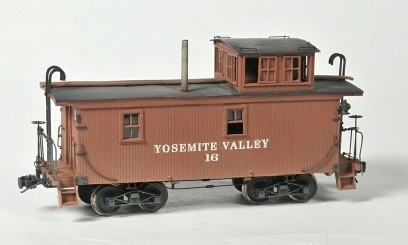 Yosemite Valley Caboose 16 scratch built by Jack Burgess. 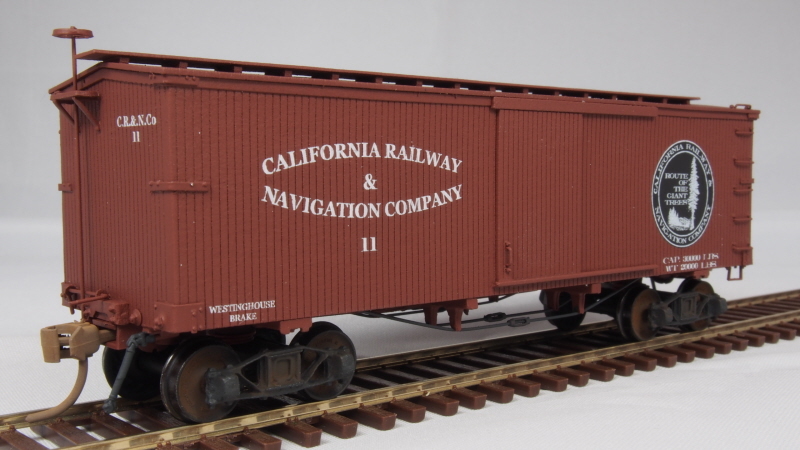 This fine looking hack rolls on a pair of Bitter Creek Models T-19 Diamond Archbar Trucks equipped with 33” wheels. 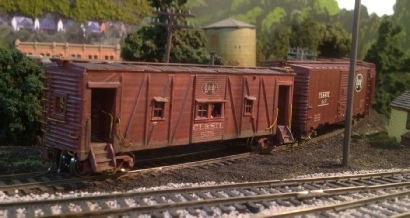 Central of Georgia Ventilated Boxcar scratchbuilt by Bob McGlone. 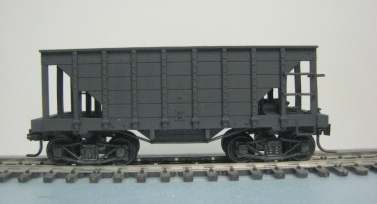 Bob used Bitter Creek Models B-1204 ventilated boxcar doors, B-1517 car side louvered vents, B-218 Body bolsters and B-1576 Pedestal Bars. It rides on T-3 Extended Beam trucks. Lettering is by Clover House. John Brazaitis writes that this ancient Red Ball gondola had made a trip to the floor sometime in the distant past. 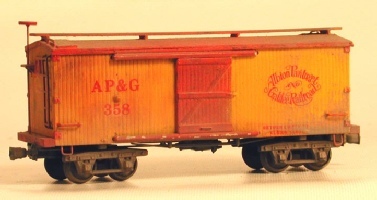 With a new set of pedestal queen posts from Bitter Creek Models the boys in the car shops were able to rebuild her, repaint her and put another vintage car back into revenue service. Robert Ripperger built this model of the Denver Northwestern & Pacific business car Marcia. This beautiful piece of varnish rides on Bitter Creek T-72 six wheel passenger trucks. 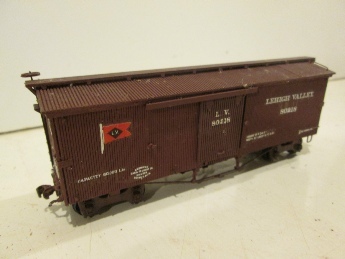 Keith Corman converted a Tichy Boxcar into a branchline caboose for his Cincinnati, Louisville & St.Louis Railway using several Bitter Creek detail parts such as the cast metal steps and stack. 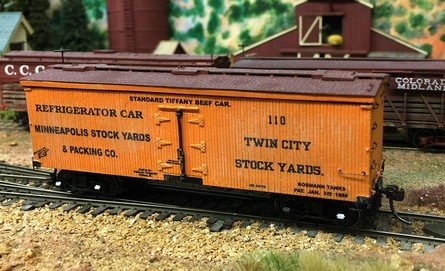 This trio of 34’ revenue cars was scratchbuilt by Joel Holmes from Northeastern Scale Lumber, Bitter Creek metal detail parts and trucks, with decals by Art Griffen. 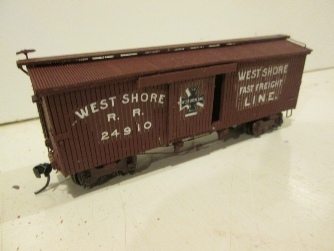 George Landow sends this photo of a kit bashed Mantua boxcar that rides on Bitter Creek Models T-22 1880 Wood Beam trucks.